Kids can have creative fun and learn something at the same time in many ways in Bokrijk. For example, if a party animal wants to have his or her birthday party for all their friends, there are three different programmes to choose from. 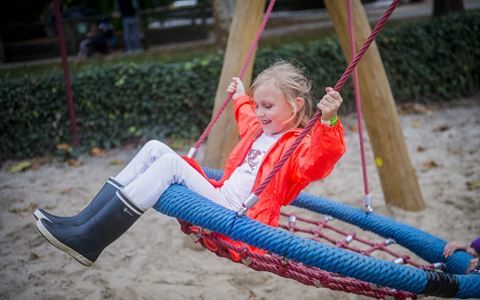 The Easter and summer holidays are also times that kids can look forward to, because they can attend the children's camps organised by Bokrijk and Idee Kids with wow factor guaranteed! As for the enormous free outdoor playground, it’s the perfect way to complete a perfect day in Bokrijk. All that playing certainly builds up an appetite! Try a delicious pancake, soup or French fries. You can also have an outdoor picnic, there are plenty of benches in the playground. And if there’s still a hole in your tummy, don’t forget to try out a delicious ice-cream from the sweetshop.